I have worked as a Paediatric Respiratory Consultant at Great Ormond Street Hospital since 2005 and I am currently the lead physician for the Long-Term Ventilation Unit. I previously worked at two other UK tertiary respiratory centres (Royal Brompton Hospital, Royal London Hospital) and an Australian centre (Royal Children’s Hospital, Melbourne, Australia). I specialise in all aspects of paediatric respiratory medicine, including asthma, wheezy infants, chronic cough, respiratory infections and sleep disordered breathing. I provide a high-quality clinical and academic service for respiratory paediatrics at a local, tertiary and international level to all those referred for investigation, care and management. I am actively involved in clinical research, with a special interest in chronic respiratory conditions, such as cystic fibrosis. Al-Malky G, Dawson SJ, Sirimanna T, Bagkeris E, Suri R. High-frequency audiometry reveals high prevalence of aminoglycoside ototoxicity in children with cystic fibrosis. J Cyst Fibros 2015;14(2):248-54. 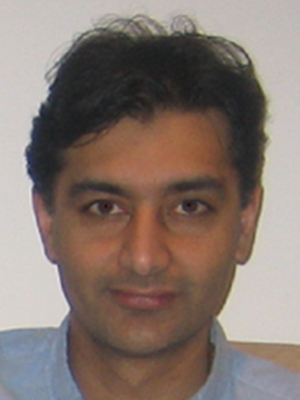 Suri R. Exhaled nitric oxide measurement in Pediatric Asthma: Pulmonologist’s Perspective. Indian Pediatr 2014; 51:101-102. Al-Malky G, Suri R, Sirimanna T, Dawson SJ .Normal hearing in a child with the m.1555A>G mutation despite repeated exposure to aminoglycosides. Has the penetrance of this pharmacogenetic interaction been overestimated? Int J Pediatr Otorhinolaryngol 2014;78(6):969-73. Bossley C, Suri R. An update on Paediatric Severe Asthma. Current Allergy & Clinical Immunology 2013; 26 (3):114-120. Shah N, Tan HL, Sebire N, Suri R, Leuven K. The role of endoscopy and biopsy in the management of severe gastrointestinal disease in cystic fibrosis patients. Pediatr Pulmonol. 2013;48:1181-1189. Williams JE, Wilson CM, Biassoni L, Suri R, Fewtrell MS. Dual energy x-ray absorptiometry and quantitative ultrasound are not interchangeable in diagnosing abnormal bones. Arch Dis Child. 2012;97:822-824. Suri R, Narang I. Reflux and aspiration. In: Bush A, Davies J, editors. Paediatric Respiratory Disease – Parenchymal Diseases: Atlas of Investigation and Management. Oxford: Martin Book Services Ltd; 2011, p.81-90.